Kaylee grew up in Old Town, Maine, and is a graduate of Old Town High School. In 2008, she received her Bachelor of Arts in History and Business Administration from the University of Maine at Farmington. Kaylee attended Roger Williams University School of Law in Bristol, Rhode Island, and graduated with a Juris Doctorate in 2011. She is admitted to the Bar in Maine, Massachusetts, and the United States District Court for the District of Maine. 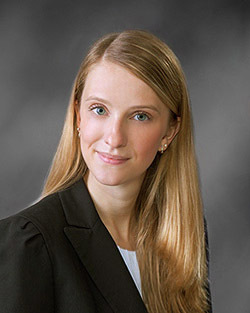 Kaylee is a member of the Maine State Bar Association, American Bar Association, Maine Association of Criminal Defense Attorneys, and John Waldo Ballou American Inn of Court. Kaylee practiced with Pine Tree Legal Assistance after graduating law school. She joined Vafiades, Brountas, & Kominsky in April of 2013. In her spare time, Kaylee enjoys spending time outside hiking and kayaking.